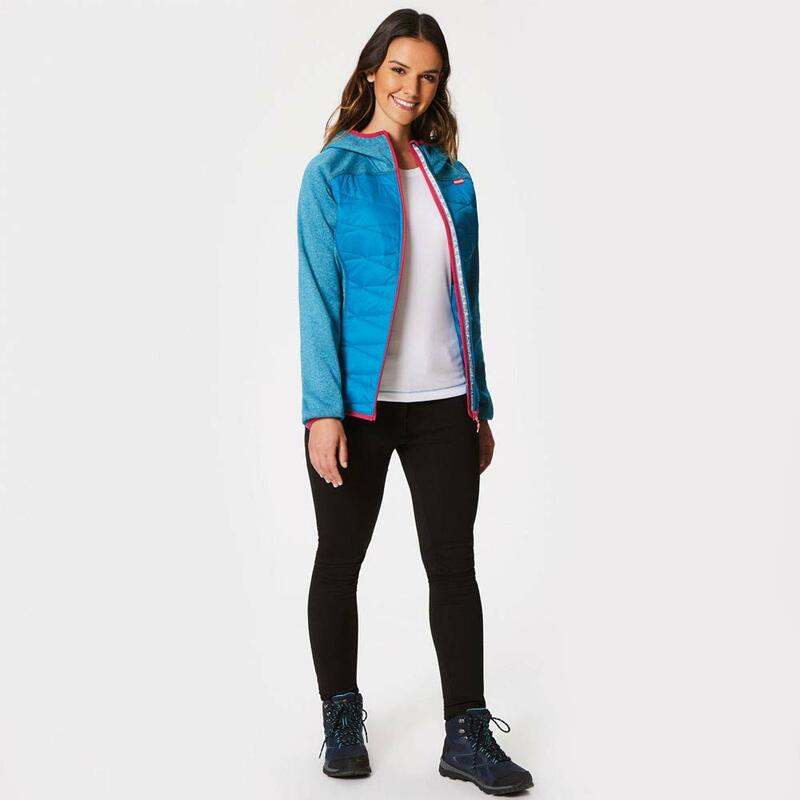 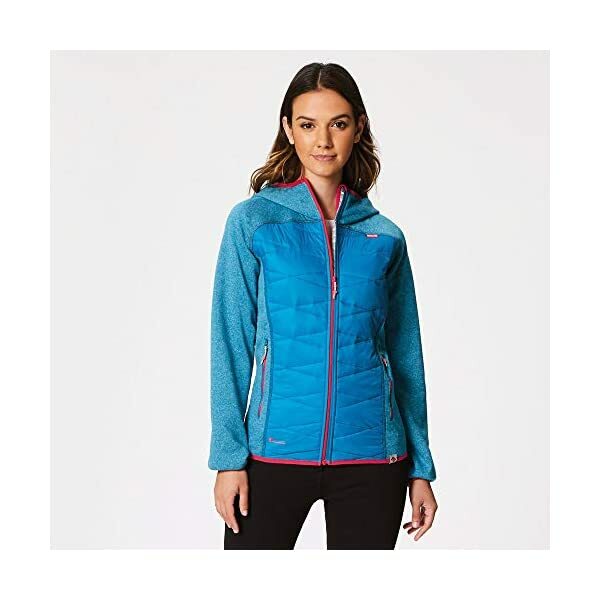 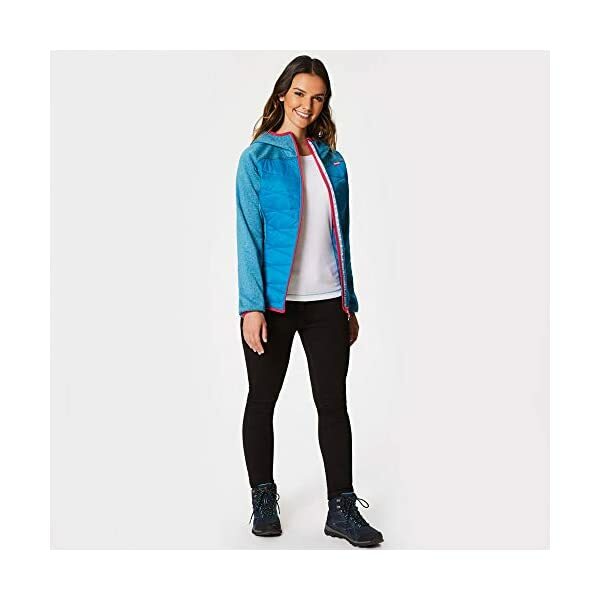 The Regatta Andreson III Ladies Hybrid Jacket offer a prefect combination of insulation with the freedom to move for those energy filled days outdoors. 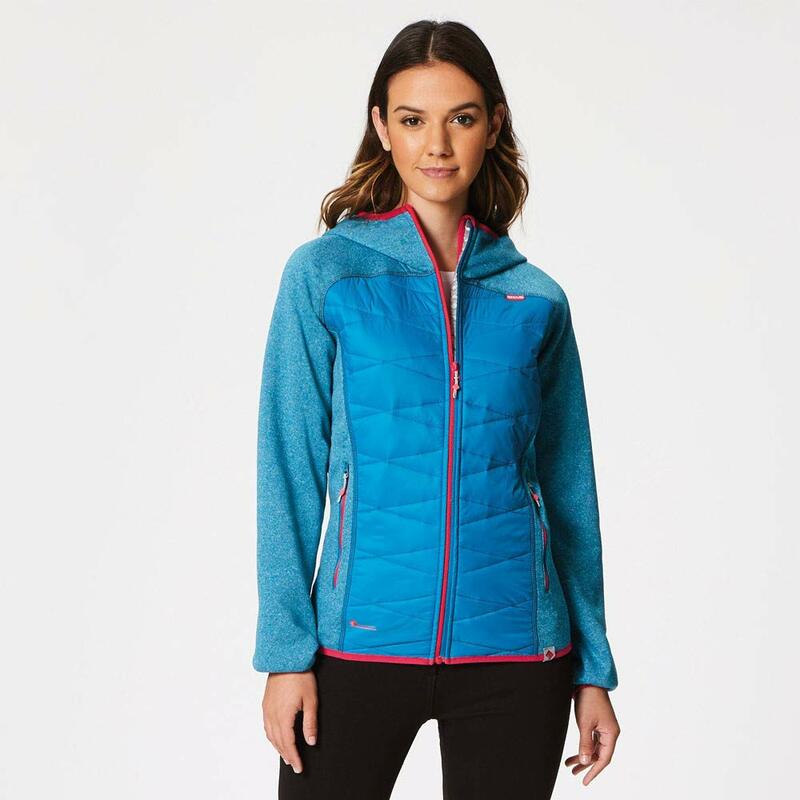 The body is lightly wadded with Warmloft fill that has the feel of natural down that will still perform even when wet. 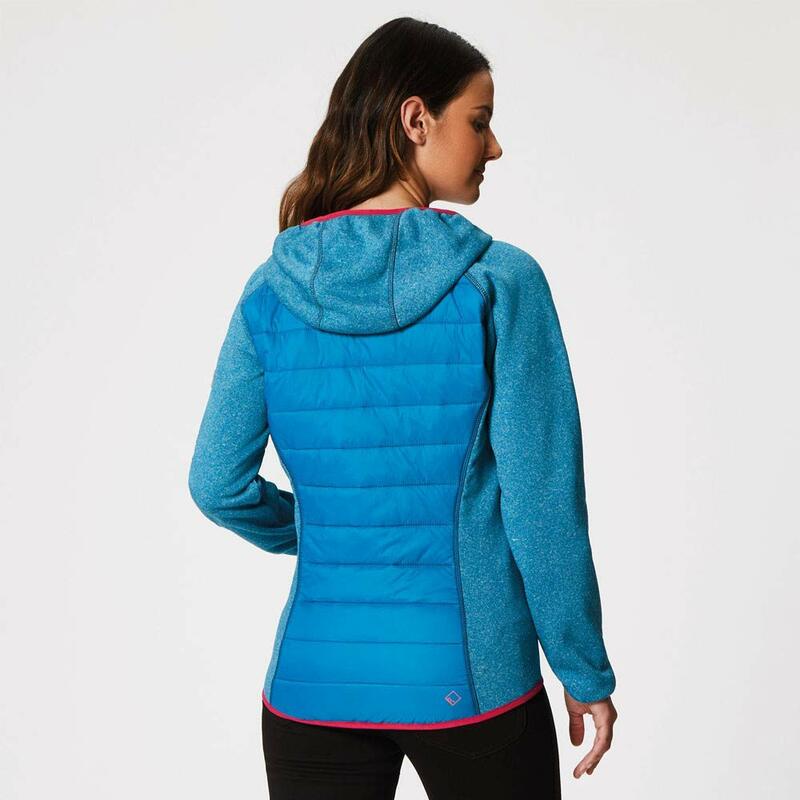 The Extol stretch hood, arms and side panels will allow for a full range of movement while the stretch binding will keep out the elements while delivering a contoured fit. 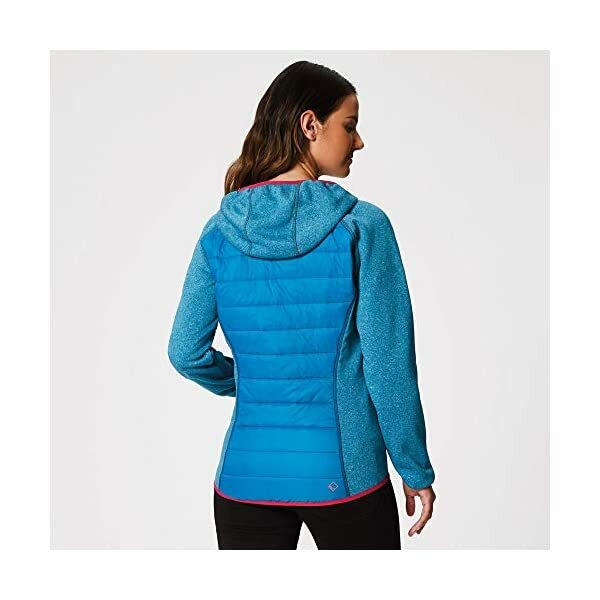 With a durable water repellent finish this lightweight zip through will work well as a standalone jacket or under shells for added warmth.